Far better than Dimbleby! 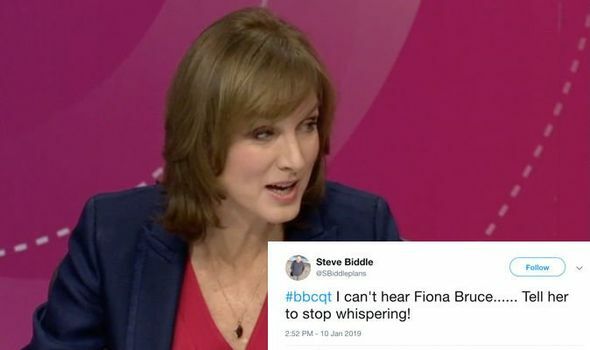 Viewers cheer at Fiona Bruce’s QT debut… but please, SPEAK UP! FIONA BRUCE made an assertive start to her stewardship as BBC Question Time host, winning plaudits from viewers. But some have complained she needs to speak louder.